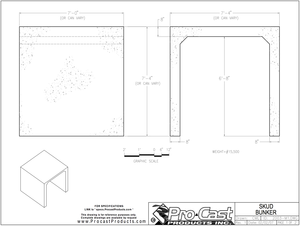 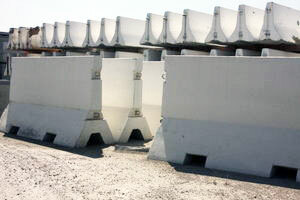 ProCast Products’ concrete barriers are built with safety and reliability in mind. 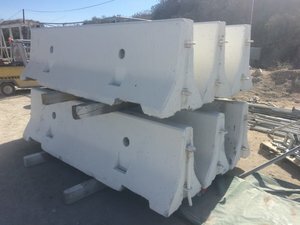 High quality and uniform, our Type- K temporary railings or K-rail concrete barriers, as they are commonly referred, serve as a cost-effective and safe solution to traffic control needs. 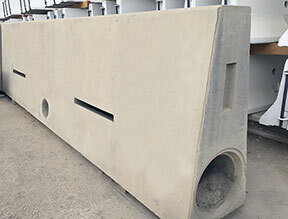 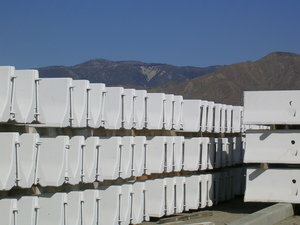 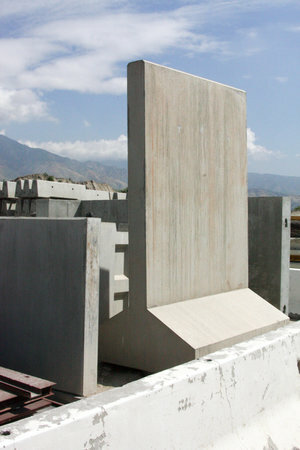 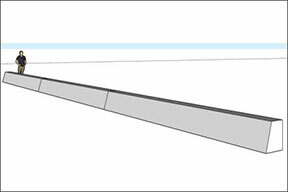 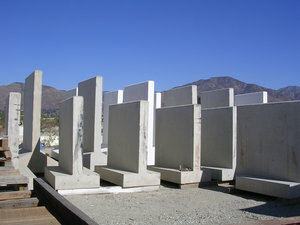 Pro-cast K-rail concrete barriers meet the specification for the California Department of Transportation. 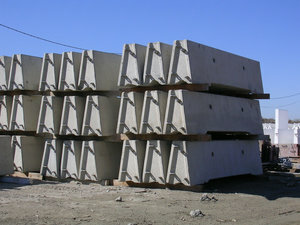 K-rail concrete barriers are ideal for redirecting the flow of traffic during construction, for parking lots, or where ever traffic needs to be blocked. 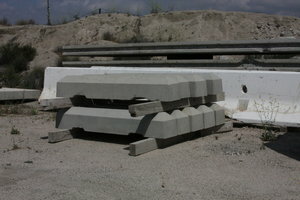 K-rail concrete barriers and/or parking rails are among other security features in construction zones or as temporary or permanent concrete barriers.